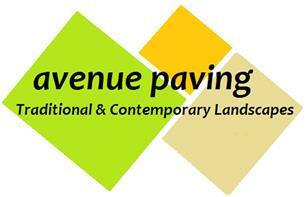 Avenue Paving - Driveways/Patios/Paths, Landscaper based in Westcliff-on-Sea, Essex. Avenue Paving is an established company with over 30 years experience in carrying out all types of paving and landscaping work in Essex. We are experts in laying block and cobble paving, crazy paving, natural stone products including sandstone, limestone, granite and slate, as well as shingle and decorative stone, slabs, decking and all types of brickwork. As vetted and approved members of the Brett Approved Installers scheme since its inception, you can be confident in our expertise and professionalism and be assured of a high quality finish. We have been highly commended within the scheme, receiving the '10 Year Loyalty and Commitment Award ' in recognition of consistent high quality workmanship and customer service. We are a small family-run company with a ”hands on” approach to running our business, to ensure that you always receive the very best service and an end result that you are delighted with. We take pride in the fact that a high proportion of our work is received through recommendations from our satisfied customers. Please visit our website for further information on how we can help you.